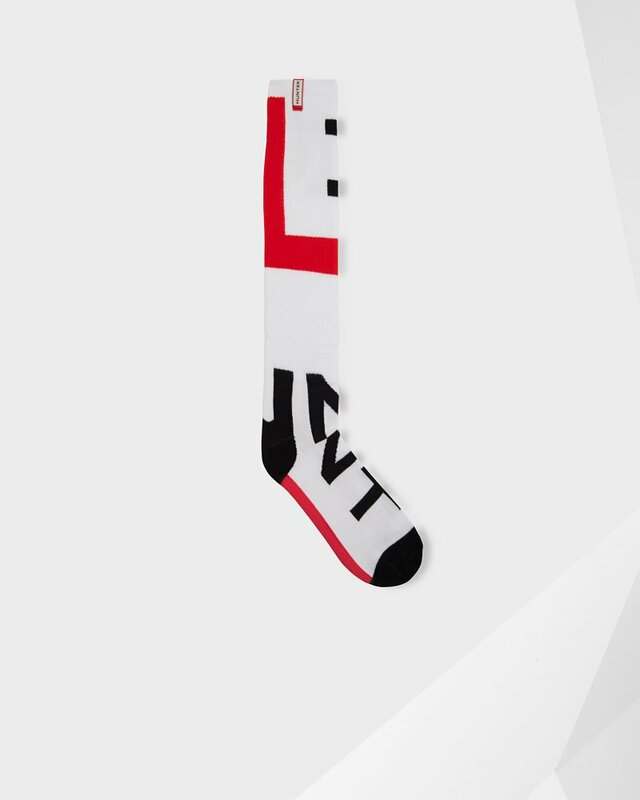 Unisex Original Exploded Logo Knitted Socks is rated 5.0 out of 5 by 2. Personalize your Hunter Original boots with a pair of Original Exploded Logo socks. Designed to be worn with the Original boot for added warmth, and made from a soft cotton blend, this style features Hunter's signature exploded logo print. Rated 5 out of 5 by MissDiva from Nice Tall Logo Socks Love these Tall Logo Socks. You do have to be careful that you don’t snag the Cotton. But look good with the Logo Snow Boots and Belt Bag.